Braces at 30 – and I’m still smiling | Everything is cool. I was a goofy child and despite the 18 months I spent in a brace at the age of 14, looking the spit of Josh Saviano in The Wonder Years, I am an even goofier adult. The official term for orthodontic failures is “100% relapse” and, I hear, quite common. I also hear that it isn’t actually a failure of orthodontics but, unsurprisingly, my own fault. It’s the same old story. I didn’t wear my retainer after treatment and over the years my profile reverted back to that of cartoon legend Lisa Simpson. This caused me to feel, not unattractive but, when all is said and done, substantially less elegant than Anne Hathaway. In my 20s most people referred to me as “Katie with the teeth” and last year it sort of became a tacit agreement between me and my comedy agent that my snaggles were my USP, so “don’t go changing”. But then last year my boyfriend asked me to marry him, and about 10 minutes after I said yes, he teased me about my overbite for the eight-hundred-and-forty-seventh time in our seven-year relationship, and I flipped. “I’ll have a smile like Cheryl on our wedding day, just you wait” I said. Spitting a bit. There was no chance in hell I would walk down that aisle looking like I’d just frenchied with a hammer. I had to fix my teeth. Friends begged me not to do it. “Severely misaligned teeth are endearing” they sniggered. There was never any question as to who would help me do it. I’d seen too many smiles transformed by Uchenna Okoye, the dentist from 10 Years Younger, not to go to her clinic, London Smiling. 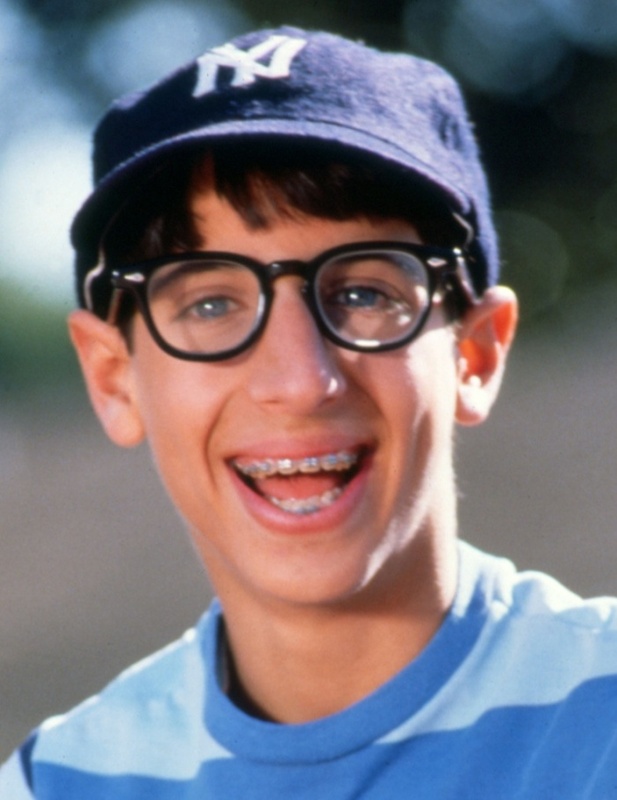 I was just a bit concerned about money – I didn’t have enough for invisible braces, and was scared of yet again looking like Josh Saviano. She also explained that times have changed. Huge advances in orthodontics mean train tracks aren’t anywhere near as horrific as they used to be, both aesthetically and in terms of comfort. They work in almost a fifth of the time, are more affordable option than the invisible ones and fully correct your bite as well as offering cosmetic alignment. So five weeks later, there I was having cosmetic train tracks fitted – and it all came flooding back; the moulds, the glue, Fred Savage sat in the waiting room outside … but the similarities stopped there. Quite unbelievably, it was a pain-free experience. I’d go as far as saying it was pretty luxurious. The beautiful Italian orthodontist fitting them, Leone, gave me a DVD to watch while he regularly applied balm to my lips stop them from cracking. I mean that’s better than most Saturday nights. One month in and some interesting things have happened. The white coverings on the brackets blend in with the white (OK, off-white) of my teeth making them very easy to miss. So I don’t feel self-conscious at all. People could just be being polite, but I don’t notice anyone looking at my mouth, which almost everyone used to do when I had a gob full of metal at the age of 14. Chewing food isn’t the easiest activity with a brace. Steak is out of the question, as is other stuff that involves a good old chomp, so soup has become a mainstay and boy have the pounds dropped off. This thing is as good as a gastric band. After the initial dull ache from having them fitted, it honestly feels as if I have had lip filler instead of braces. I’m living a completely normal existence. At a dinner party three weeks ago, when my braces were new, I found myself face to face with a gigantic plate of steak. Not wanting to be rude, I decided that swallowing whole pieces without chewing them was the only option. Big mistake – I managed to block my windpipe and choke in silence for three whole minutes. But no one noticed and that’s the main thing. At work drinks last week, my monthly contacts hadn’t arrived yet, so I was wearing glasses AND braces (Josh Saviano galore). The barmaid took one look at me and asked to see some ID. When a cheeky colleague asked whether it was my brace that made me look too young to purchase alcohol, the barmaid swore she didn’t notice I was wearing one. In just one month, I can already see a widening in my smile. You could only see my front four before. In fact if I blink really really really quickly, I can see Cheryl’s face slowly forming on top of mine (and Josh’s). This thing is working. And unlike my 14-year-old self, I’m not speaking to people self-consciously through a semi-closed mouth, I’m not apologising for having a brace every time I bump into someone and I’m not ashamed to carry 100g of dental floss, an electronic toothbrush and 10 interdental brushes on my person at all times. I’m wearing this wirey-motherfugga loud and proud. I just hope, in five months, when I’m walking down that aisle looking like Anne Hathaway’s shorter, blonder, Jewish-er sister, I don’t have to look too searchingly in the faces of my loved ones, for them to recognise who I am.